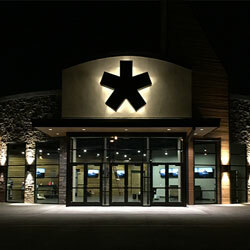 Here you can see all of our customer's amazing LED lighting projects that were created using Ecolocity LED products and LED Lighting accessories. 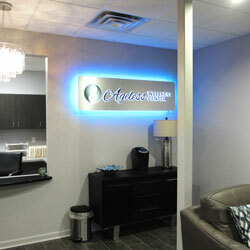 From LED Strip Light Projects to LED Wall Washer projects, our customer's have done it all. 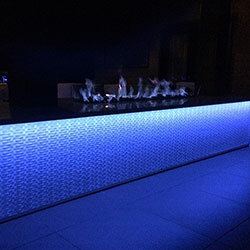 Browse these great finished projects to get some ideas for your next LED Lighting design. 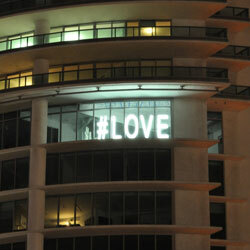 12VDC BS3 LED Modules are used to light these 7ft tall Channel Letters in Miami, FL. 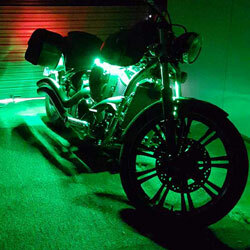 Ribbon Star 50/50 Green Waterproof LED Strip Lights are used to light this custom chopper. Ribbon Star Supreme White LED Strips are used to light these directional light boxes. 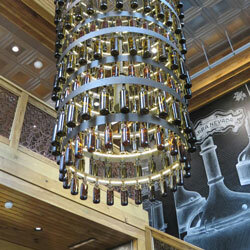 A custom built beer bottle chandelier lit using 12V Ribbon Star LED Strip Lights. 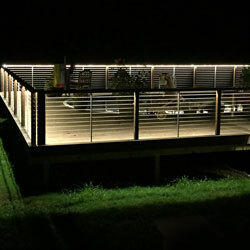 An outdoor Deck perimeter is lit using Ribbon Star Extreme 24VDC LED Strip Lights. 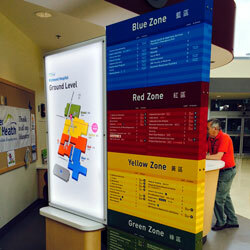 RGB Color Changing 12V LEDs are used to bring color accents to these interior business signs. 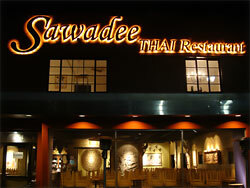 An outdoor sign is halo lit using 12VDC Super Nova 2 Warm White LED Modules. 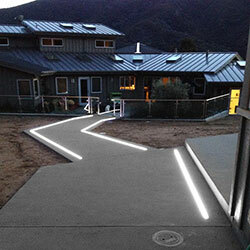 Outdoor step and eave lighting using Ribbon Star Waterproof LED Strip Lights. 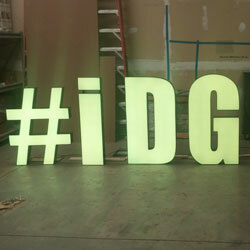 These Channel Letters are backlit using our color changing ES4 RGB LED Modules. 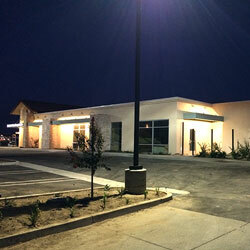 Outdoor Business Lighting using 12VDC Ribbon Star Max Waterproof Strip Lights. 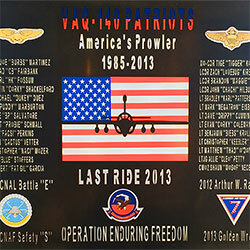 160 Degree Beam BS3 White 12VDC LED Modules are used to light this military plaque. 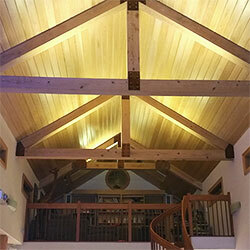 12VDC Ultra Warm White Strip Lights are used to light the coves of this vaulted ceiling. 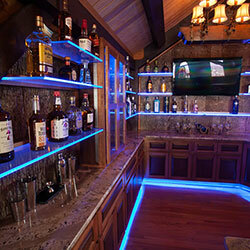 Ribbon Star Max Waterproof Warm White LED Strip Lights are used to light this modern design. 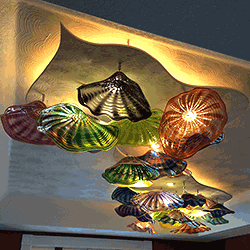 Custom melted glass is transformed into a one of a kind LED fixture using 4 watt LED Downlights. 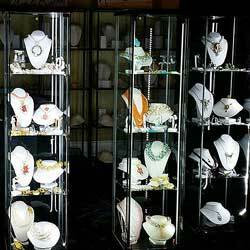 Jewelry Case display lighting using 12VDC Ribbon Star Ultra White LED Strip Lights. 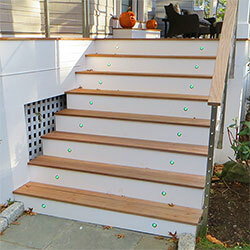 Custom Outdoor Staircase Lighting using Stainless Steel RGB LED Light Fixtures. Ribbon Star Max White Waterproof Strips are used inside our outdoor in ground channel. Custom Toe Kick, Shelf, and Cabinet Lighting using RGB 180 LED Strip Light. 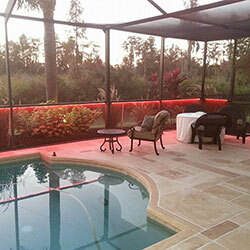 100ft Serial Connection of 24VDC Extreme RGB Lights up this Pool Enclosure. 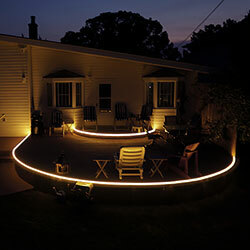 Outdoor Deck Lighting using Ribbon Star Warm White Waterproof LED Strip Lights. 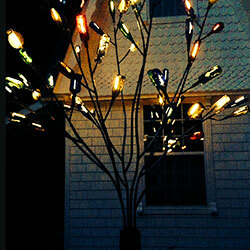 A glass bottle tree is lit using Waterproof Warm White LED Strip Lights. 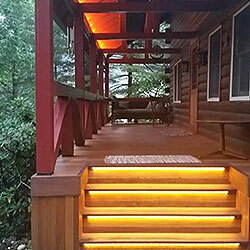 RGB 180 Waterproof LED Strip Lights light up an outdoor fire place and stairs. 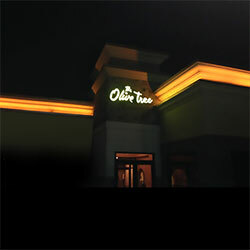 Ribbon Star Extreme Amber 24VDC Outdoor Strip Light accents the Olive Tree Restaurant. 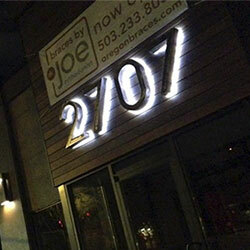 Super Nova 4 Warm White LED Modules are used to light up outdoor signage. 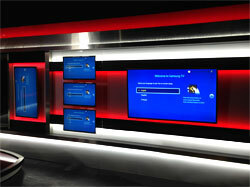 12VDC LED Strip Lights and Modules are used to light up this custom Verizon FiOS Display. 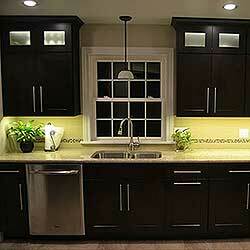 Kitchen and office residential lighting using Ribbon Star Ultra White LED Strip Lights. 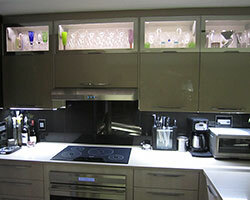 This great kitchen cabinet lighting project was achieved using Max Warm White LED Strip Lights. 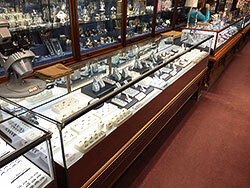 This great display case lighting project was achieved using 12V Ultra White LED Strip Lights. 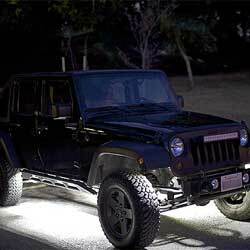 Custom interior and exterior vehicle accent lighting using RGB 90 TPU LED Strip Lights. 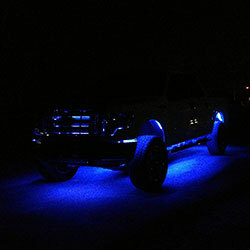 4x4 under cab rock crawler lighting using Super Nova 4 White LED Modules. 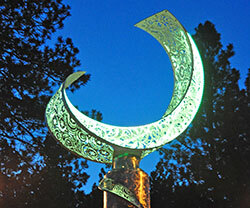 An amazing outdoor permanant art installation using RGB 90 TPU LED Strip Lights. 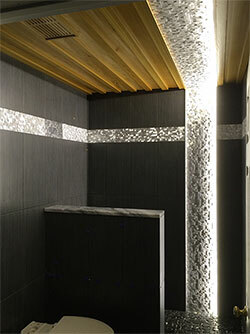 Channel letter lighting using Waterproof Ribbon Star Ultra White 12VDC LED Strip Lights. 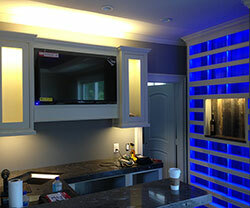 Interior lighting using 12 volt DC Warm White and RGB Color Changing LED Strip Lights. 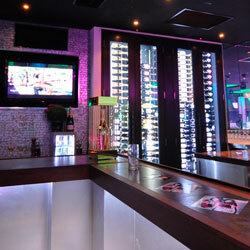 A bright and vivid Restaurant using Color Changing LED Strip Lights and DMX Control. 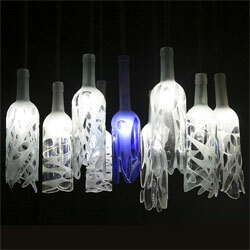 An LED Chandelier made out of Sandblasted Wine Bottles and G4 LED Barrels. 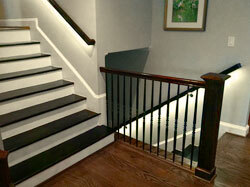 LED Staircase lighting using Ribbon Star Max Warm White LED Strip Light in handrail.